Ladies, come out on a Friday night to join us for the word, food & fellowship! We are so excited for what the Holy Spirit has for you in 2019! 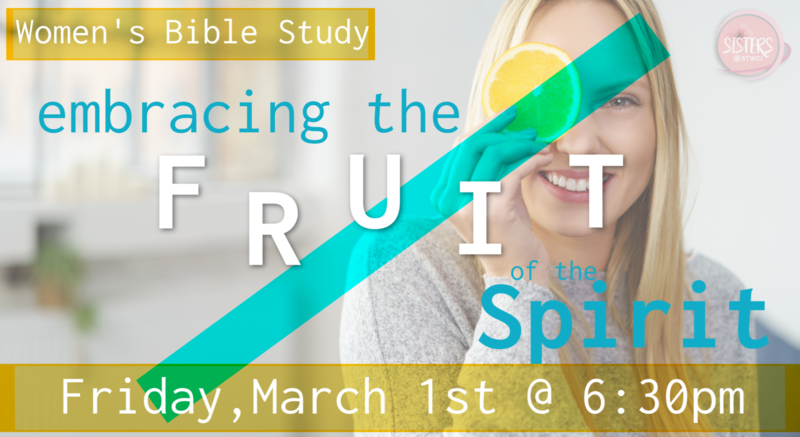 Join us as we continue our bible study series "Embracing the Fruit of the Spirit" on Friday, March 1st 2019 from 6:30 to 8:00pm.